I spent a little time decoding the entire Segment 02 which contains the font textures (HUD, dialog, credits), transition textures, font tables, dialog text, level names, and act names. I added my documentation to the wiki and am included the notes here. I am also attaching my assembly file which is a complete deconstruction of this segment and can be used to regenerate the exact segment 2 binary using the bass assembler. There are a few interesting things I found in segment 02. In addition to the dialog, level names, and act names, there is an unused section encoded in a similar manner starting at offset 0x7C94. Decoding it reveals something like the listing below. The hex values don't line up to any characters in the (U) ROM dialog lookup table, but they may be remnants from the (J) ROM. I may try to decode these later to see if it reveals anything interesting about the stages available in the stage select..
db " \", 0xF0, "\", 0x48, 0x68, "?\n"
db " 1 ", 0x8E, 0x72, 0x9D, 0x82, 0x9D, "\n"
db " 2 ", 0x8B, 0xD5, 0x71, 0x70, "-", 0xF0, 0x89, 0xF0, 0x8B, 0x98, "\n"
db " 3 ", 0x7C, 0x88, "-", 0x7C, 0x96, 0x71, 0xF0, 0x7F, "-\n"
db " 4 ", 0x72, 0xD8, "-", 0x7F, "-", 0x96, 0x9D, 0xF0, 0x83, "\n"
db " ", 0x77, "_", 0xF1, 0x89, "1", 0xF0, 0x49, 0x42, "\n"
There is a peculiar up arrow texture stored at offset 0x17698, right in the middle of some F3D display lists. I don't recall seeing it in the game. It is the first arrow listed in the picture below. The other font textures that look like arrows are listed for reference as well. The ambient and diffuse lighting parameters for the paintings are stored at offsets 0x177B8 and 0x177C0 respectively. You can use this to change how the paintings are rendered while animating. Here, I made the diffuse color red instead of white. 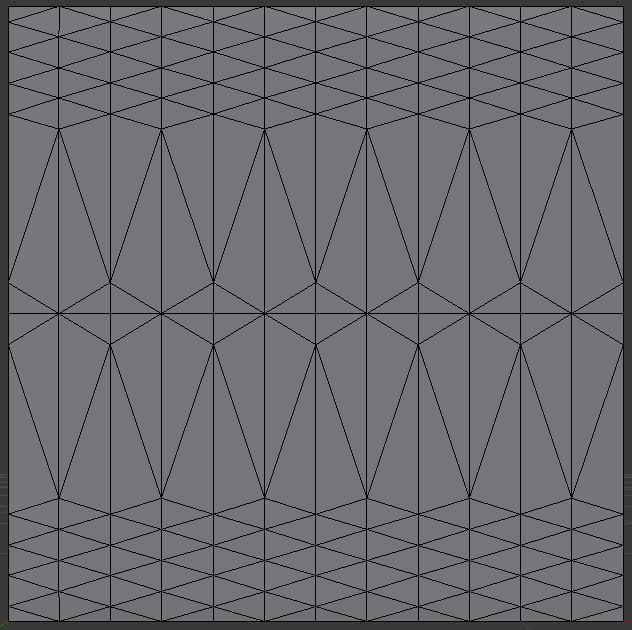 The vertex and triangle data used to construct the animated painting triangle mesh is stored at offset 0x178C0 (0x81AA16 extended ROM) and takes the following format. 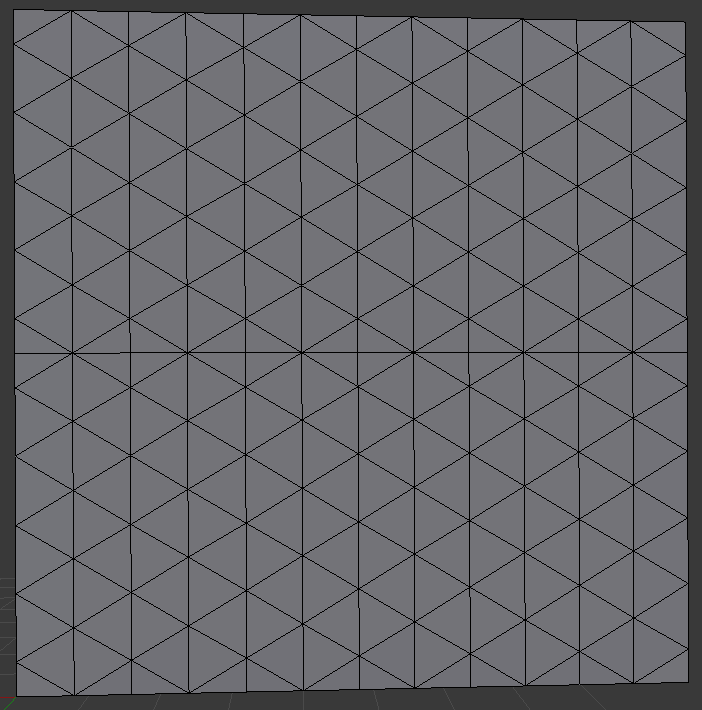 The Z values of the vertices don't matter as they are controlled by code, but the X and Y can be adjusted for some interesting results. I tried changing the order of the last triangle table, but it just locked up the game when I touched a painting, so it means something. Thanks shygoo, that is exactly the text I'm seeing here! Strange that it was kept in the (U) ROM where none of the Japanese dialog characters are. I dug into the (J) ROM and found the same messages at offset 0x87E4 and 0x883C. I think that a better translation of「クッパ１ごう」could be "Bowser number 1". １ごう (1 gou) means "number 1"
(25-10-2016, 10:30 AM)supermariosan100 Wrote: This isnt really related, however, there is left over background data from the secret slide of the Big boo's Haunt background. Maybe the slide was going to be differently themed. 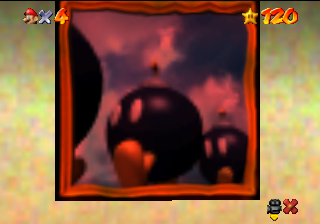 The bowser door also had a different fanfare, i believe it was somewhere in the game, I heard it years ago, but, it may just be bad memories. I'm not exactly sure what you're trying to say, but it doesn't seem to be related to segment 02. Thanks Fendoroid! This makes sense to me. I update the translation above. Hm... is it possible to use the credits fonts for, I dunno, cutscenes or somethin'? (25-10-2016, 06:38 PM)MrPr1993 Wrote: Hm... is it possible to use the credits fonts for, I dunno, cutscenes or somethin'? It's certainly possible, but I haven't done any testing. The function PutMiniString/802D82D4(A0=X?, A1=Y?, A2=pointer to string) uses this lookup table and the strings are stored as ASCII in ROM around 0xF0BA0. The other thing is that the credits font have a black instead of transparent background, so depending what you're going for, it may not look good in a cutscene without changing it. Fascinating... someone should test it with this type of font anyways before changing it! Could be useful for cutscenes and new intros/endings. We already have the level select debug code and just because the text is still in the ROM, doesn't mean the coding for it is. It would have to be remade.